We offer over thirty online courses for Scottish schools aligned to the SQA curriculum at National 5, Higher and Advanced Higher level. Our high quality courses are built upon the knowledge and experience of teachers working in Scottish schools and our authors share their wealth of experience as educators. 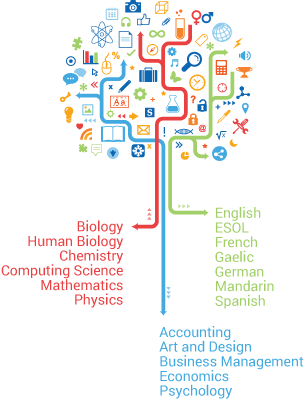 The wide range of subjects provides routes into careers in science, engineering, business, design and languages. It has been found that higher intensity usage of SCHOLAR correlates with higher attainment in exams. SCHOLAR supports independent study; students can use the materials to study anytime, anywhere, in school or at home. Courses can fit around school schedules, with short activities, clear goals and engaging content to encourage students to progress independently. The materials can also be used in the classroom to illustrate key learning points and online tests can be assigned as homework. SCHOLAR is a learning tool for students and teachers to use as required for their individual needs. The materials contain a variety of activities, tests and quizzes that offer instant feedback. This allows students to practice and build confidence as they work their way through the learning materials. Students and teachers can use SCHOLAR's reports to track progress through the online materials. In addition, scores achieved in our online tests are recorded and students can use these to review their performance. Teachers can also monitor students' test results using the reporting system which helps them guide the way their students learn and develop. An online revision planner is provided for students which can help them prepare for their exams. Students can add links to relevant sections of the SCHOLAR learning materials. They can also add their own personalised reminders. * Please note: these National 5 courses are support materials only. ** Please note: SQA do not provide a qualification for this subject at this level. We deliver online tutor sessions tailored for students; these are interactive events hosted by subject specialists with extensive teaching experience. Student sessions encourage social learning and discussion helping them to make fresh discoveries and form new ideas. We currently cover Biology, Chemistry, Computing, English, Human Biology, Maths, Modern Languages and Physics. Each session lasts up to an hour in total, including time for questions and answers towards the end. Teachers and students have told us how much they value having a printed study guide. 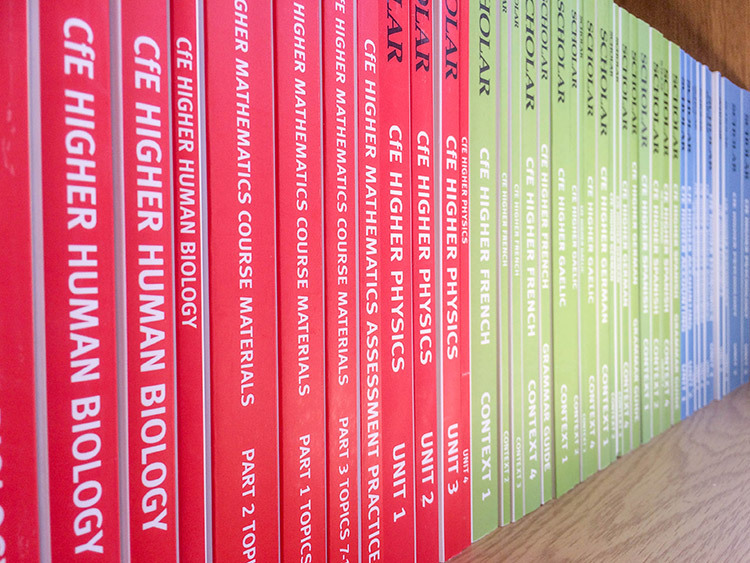 We offer books covering all our subjects at Higher and Advanced Higher level. They are designed to complement the interactive content on the SCHOLAR website. We endeavour to keep the cost low by providing separately published units. The "print on demand" books are produced and sold by Print Trail and are available to purchase online.